It should not be any great surprise that a sizable number of your patients either already follow a vegetarian or vegan diet, or are interested in doing so. Given chiropractic’s focus on wellness as a lifestyle, it will almost inevitably be an attractive alternative to standard Western medicine to those looking to eat healthier. Naturally, you should be doing everything possible to encourage your patients to follow a healthy diet. What is intrinsic factor deficiency? The easiest way to prevent intrinsic factor deficiency is through a combination of diet and supplements that addres intrinsic factor deficiency. 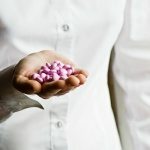 The National Institutes of Health recommend that both male and female patients take 2.4 micrograms of vitamin B12 daily.7 Pregnant women should take 2.6 micrograms, and lactating women should take 2.8 micrograms. While you should strive to make certain that your patients are meeting their daily nutritional needs, you will need to take extra care with your vegan and vegetarian patients. 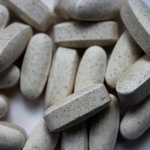 Suggesting vitamin B12 supplementation, along with increased intake of fortified foods, will help keep them healthy and strong. What causes pernicious anemia? National Heart, Lung, and Blood Institute. Accessed 4/9/2016. Intrinsic factor. Medline Plus. Accessed 4/9/2016. Herrmann W, Schorr H, Obeid R, Geisel J. Vitamin B-12 status, particularly holotranscobalamin II and methylmalonic acid concentrations, and hyperhomocysteinemia in vegetarians. Am J Clin Nutr. 2003 Jul;78(1):131-136. Gilsing AM, Crowe FL, Lloyd-Wright Z, et al. Serum concentrations of vitamin B12 and folate in British male omnivores, vegetarians, and vegans: results from a cross-sectional analysis of the EPIC-Oxford cohort study. Eur J Clin Nutr. 2010;64(9):933-939. Vitamin deficiency anemia. Mayo Clinic. Accessed 4/9/2016. 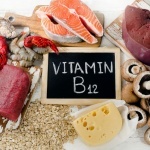 Vitamin B12 deficiency: Causes, symptoms and treatments. Medical News Today. Accessed 4/9/2016. Vitamin B12. National Institutes of Health. Accessed 4/9/2016.